M/E Engineering is involved with numerical studies of a large variety of academic institutions and their related facilities. Many different problems have been solved ranging from classroom studies of CO2 build-up and student comfort to gymnasium and field ventilation assessments. The studies can include conventional ventilation or innovative approaches such as mass flow displacement systems, and can also include unique spaces such as veterinary gross anatomy labs, teaching labs, nano-technology spaces, life and medical science facilities, morgues, and large group spaces. We evaluate chemical safety concerns of various designs, fire and smoke analysis of large and small spaces and perform full-campus wind dispersion analyses with pollution sources from kitchens, labs, boilers, chillers and animal facilities. Classroom IAQ - temperature, humidity, comfort & CO2. 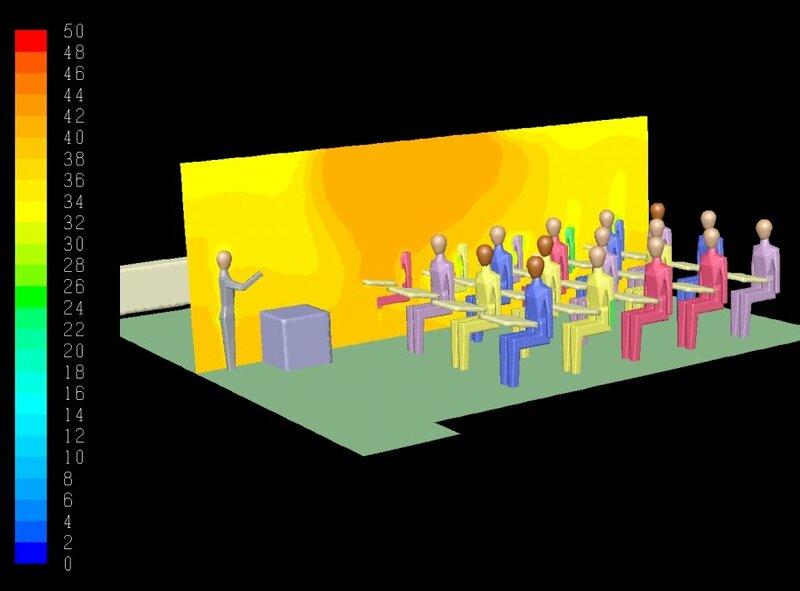 Laboratory modeling for energy efficiency & safety. Wind studies around laboratories, kitchens, cooling towers, boiler plants and emergency power plants. Field house and natatorium ventilation studies. Fire and smoke studies of campus buildings. CFD airflow modeling in specialized labs and facilities. Auditoriums - temperature, humidity CO2 and comfort. 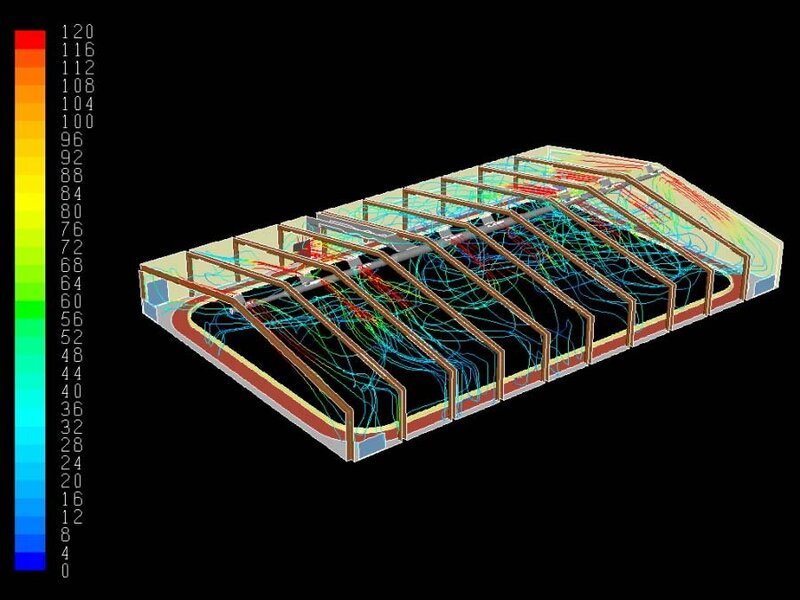 Heating and cooling of a collegiate fieldhouse - ventilation streamlines.